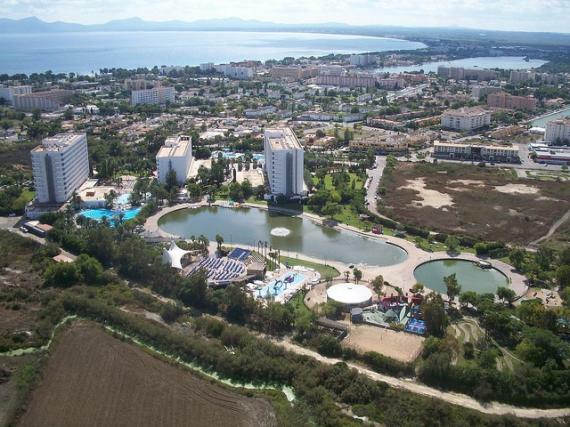 The city of Alcudia is situated in the north of the Mediterranean island of Majorca, and has developed as a resort that is popular for families. The combination of a long history and modern recreation gives travellers many options for entertainment and leisure on the island. The well-preserved old town holds a weekly market that is loved by many; locals and tourists alike, whilst the stunning marina area has plenty of interesting things to see and do. In nearby Puerto de Alcudia, the musically inclined traveller can find a variety of small clubs featuring a variety of music. Throughout the year there are many religious and folk fiestas (parties) that give visitors a glimpse into local traditions. Not only this, but the glistening white sand of the longest beach on the island attracts the typical sun-worshipper to spend time sunbathing by the shore. If tourists wish to see more of the area, there is the option of getting the sightseeing bus which provides an intriguing tour, presenting full views of the local scenery. There are also sail boats where visitors are able to see the sunny island from far out in the ocean. You can even go horse-back riding for a close encounter with the landscape and countryside. On the other hand, if you're more on the adventurous & sporty side, there are several golf courses, a water park and even a maze park, which is designed to challenge and entertain visitors. There's also plenty of opportunities to go scuba diving, fishing, go-karting and cycling. The history of Alcudia has been well-preserved in many of the sights of the old town. The bullring is located in the centre of the old town, and is open to the public, even though fights are no longer held in it. The medieval city wall has been maintained along with the old village, preserved to give visitors a pleasant and relaxed place to stroll around. Alcudia is a warm and welcoming holiday destination for people of all ages and interests. The wide variety of activities and things to do deems Alcudia perfect for those with a desire for history or for modern recreation, all within a relatively short distance of one another. Alcudia is ideal for families and other holidaymakers who are all in search of a vacation with relaxed options, too. Find information about selected Hotels, apartments and rooms in Alcudia to choose the perfect place for your accommodation.